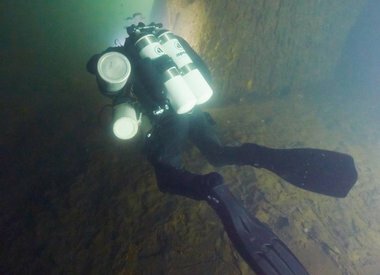 Do you want to go even deeper than the recreational dive limits or just stay down longer within the recreational dive limits? Maybe you just want to have a greater understanding of what decompression diving is? If so, then maybe technical diving is what you're after. 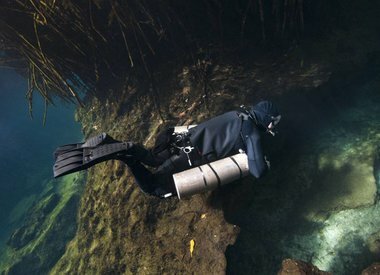 South Florida has many great dive sites that are deeper than 130 feet. Some of the biggest wrecks in South Florida are deeper than 150 feet (like the famous Hydro Atlantic in Boca at 175 FSW), and as deep as 300 feet! At Force-E, we'll teach you the safe and competent way to dive the deeper sites between 130 and 330 feet! Force-E also offers Instructor Ratings in CCR & Open Circuit for all levels of PADI. Each technical diving course has special prerequisites and gear requirements. Of course Force-E has everything you need from stage bottles, reels, backplates, wings, and more. 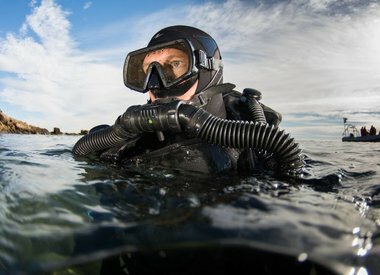 If you have any questions, you can always contact us, or just stop in to your nearest Force-E location to find out about starting your adventure into Technical Diving today.